Enjoy free popcorn and drinks in our Community Room Theater. 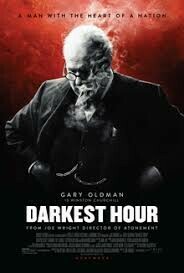 This popular 2017 movie about the British Prime Minister during WWII, Winston Churchill, has received six Oscar nominations, including Best Picture and Best Actor. Rated PG-13 for some thematic material.